Ozhotels provides business and leisure travellers with a directory of independently owned and non-related hotels and serviced apartments providing accommodation in Manly. Oz hotels allows you to deal directly with the hotels and apartments in this Sydney beach suburb, hence giving you the best possible rates for this Manly accommodation. 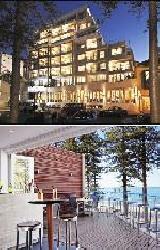 Book your accommodation online directly with the hotels in Manly and receive discount rates for longer stays !!! The beach suburb of Manly is one of Sydney's most beautiful areas. It is situated on the North Shore of Sydney, just a short 30 minutes ferry ride from Circular Quay across the magnificent Sydney Harbour. Manly is a vibrant area with numerous entertainment and leisure activities including Arts and Crafts markets on weekends, Manly Oceanworld where you can get up close with sharks, Manly Waterworks fun park, the ghost tour at the Quarantine Station and in October the 3 day Manly Jazz Festival. Ideally nestled between a tranquil inner-harbour beach on one side and the ever popular Pacific Ocean surf beach on the other Manly has something for everyone. Apart from a sophisticated dining scene, stylish boutique shops and scenic walking trails Manly also features accommodation ranging from budget backpacker hostels right through to luxury hotels and apartments. The Manly Beachside Apartments, Sydney offers clean, comfortable, budget studio apartments that are minutes from magnificent Manly beach & close to all Sydney attractions. With such a central location the Manly Beachside Apartments is conveniently positioned so that guests can take advantage of some of the nearby local attractions. Manly is always fun with a relaxed beach vibe and culture. Guest can take surf lessons, go kayaking around our harbour, visit the aquarium, try beach volleyball or parasailing. Manly Serviced Apartments are one of the few properties in the area that caters for budget conscious travelers, also offering the conveniences of fully self-contained apartment accommodation. 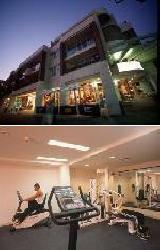 The Quest Serviced Apartments in Manly offers studios, 1 & 2 bedroom self contained apartments with Sydney harbour views. urther Quest facilities include valet laundry service, valet dry-cleaning service, pantry shopping service, secretarial service, photocopying service, faxing facilities, baby sitting service, tour desk, concierge services, lift, 24 hour front desk, free car parking, daily newspapers, conference facilities, gym and sauna. Quest Manly provides the best accommodation Manly has to offer and arelocated opposite Manly Ferry Wharf and only a short stroll from the door to the local restaurants and shops. For discount hostel accommodation in Sydney which is perfect for the budget concscious traveller stay at the Manly Backpackers. 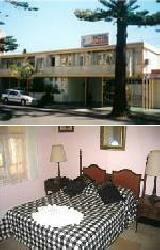 The Manly Backpackers provides both holiday makers and business travellers with discount hotel rooms and suites. 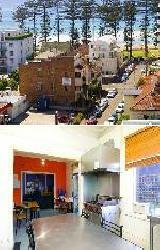 This Manly accommodation features modern amenities and is close to everything that the city has to offer. Manly Backpackers is the largest and most fun-filled hostel in Sydney's Northern Beaches and we are located right inthe heart of Manly. Thinking about an early morning surf, an evening swim, a stroll along Manly's famous promenade walkway along the beach or you need to get to Manly's huge selection of pubs. 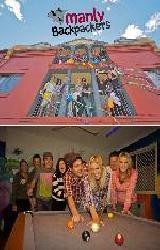 The Manly Guest House provides hostel accomodation with old world charm available at discount rates. 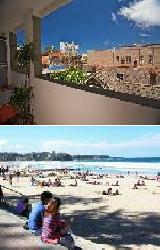 It is conveniently positioned close to the ferry and Manly beach, making it ideal for backpackers, families and groups. The Manly Guest House has a number of guests facilities and services including Direct Internet Access, Disabled Facilities, Guest Laundry and Daily Housekeeping which will make you feel right at home the next time that you stay. Manly Guest House, also known as the Guest House Manly, offers the best value in budget accommodation in Manly, Sydney's most popular beachside suburb. The Sebel Manly Beach is a newly refurbished, luxury hotel accomodation that is ideally located close to Manly Beach, Oceanworld, cafes and boutiques and with easy acces to Sydney CBD. With such a central location the The Sebel Manly Beach is conveniently positioned so that guests can take advantage of some of the nearby local attractions. 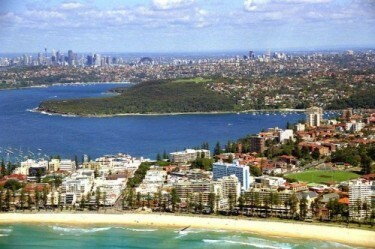 Manly is only a 30 minute ferry ride or 15 minutes by Jetcat away from Sydney's CBD. It is an ideal location to relax and unwind in whilst still enjoying everything that Sydney has to offer. There are plenty of great attractions and activities for the whole family in and around Manly including Oceanworld, Manly Waterworks and the Manly Food and Wine Festival. For discount holiday hotel and apartment accommodation close to Sydney's Manly Beach stay at the Manly Oceanside Accommodation. The Manly Sea View Motel and Apartments is also the perfect Mnaly accommodation for the Jazz Festival and the Food and Wine Festival which are both held in and around the beachside subirb of Manly. The Manly Oceanside Accommodation are perfectly located just 100 metres from the surf and a 10 minutes stroll to famous Manly Corso and Ferry Terminal which will take you into the city centre.